KIEV, Ukraine -- ARTICLE 19 and International Media Support (IMS) urge the Ukrainian Parliament to demonstrate their commitment to transparency and public accountability by adopting a new Access to Public Information Law. The law had been scheduled for consideration on 2 November, but was unexpectedly removed. The Ukrainian Parliament (Verkhovna Rada) removed the law from its agenda on 1 November after previously abruptly postponing the vote. A new date for the vote has not been set. The legislation is at a critical stage and further delay by Parliament would constitute a serious set-back for Ukraine’s progress on human rights. Ukraine remains one of very few European states without adequate access to information legislation. 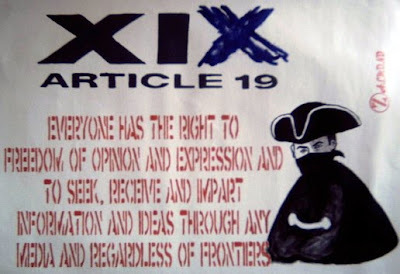 ARTICLE 19 and IMS consider the adoption of the law central to securing individual freedoms and developing democracy. Both organisations have repeatedly urged the Ukrainian Parliament to incorporate the law as part of the progressive reform needed to improve the legal framework for freedom of expression, of which access to information is an integral part. Ukraine currently has a 1992 Law on Information which recognises the right to information but has been described by international bodies as “confusing” and having overly broad exemptions and access to information under it has been poor. The new law would solve many of those problems by imposing a progressive framework in line with international standards. Several international organisations, including the Organisation for Security and Cooperation in Europe (OSCE) and Council of Europe, have recently pressed for Ukraine to move forward with the adoption of the Access to Public Information Law. On 5 October 2010, the Parliamentary Assembly of the Council of Europe (PACE) called on the Ukrainian parliament to adopt the Law on Access to Public Information as part of its legal reform agenda, specifically with regards to the fight against corruption, in its resolution on ‘The functioning of democratic institutions in Ukraine’. The OSCE’s Representative on Freedom of the Media, Dunja Mjatovic, urged MPs and the Ukrainian government to enact the law during her visit to Kyiv on 13 October 2010. The President of Ukraine, Viktor Yanukovych, has promised to prioritise the adoption of the legislation and take into account the recommendations of the PACE. “The adoption of the access to public information law would constitute a major cornerstone, in guaranteeing fundamental rights and freedoms, specifically the right to freedom of expression. Ukraine should join the vast majority of European states who fully recognise the importance of this right,” states Dr Agnès Callamard, ARTICLE 19 Executive Director. “Journalists in Ukraine are struggling everyday with the outdated "Soviet" regulations on access to information which are enforced in the country. Under the current legislation, public authorities can delay providing a reply to an information request for as long as 30 days, which often makes the whole idea of requesting information futile for media. It is in the interest of the public and the media in particular, that the Ukrainian parliament takes necessary steps to adopt the progressive Law on Access to Public Information. The law is a result of joint work and consensus of different interested parties and it will help to ensure transparency and a free flow of information in the interest of all,” says Jesper Højberg, IMS Executive Director. ARTICLE 19 and IMS urge the Ukrainian Parliament to adopt a progressive Law on Access to Public Information in accordance with international standards without delay.